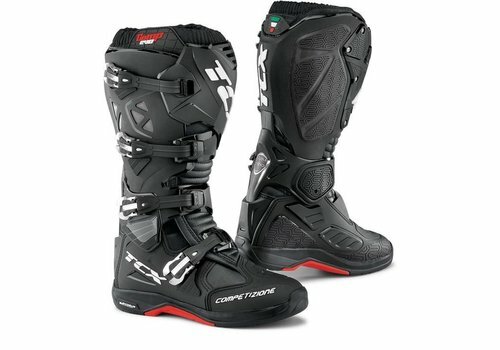 Buy TCX Comp Evo 2 Michelin Boots? Free Shipping! 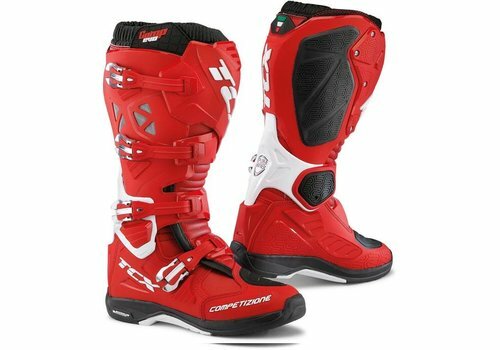 Buy your TCX Comp Evo 2 Michelin Boots at Champion Helmets and get: ✓Best price ✓Free shipping ✓5% Cashback on your Order Value ✓Super Fast delivery ✓Order now! 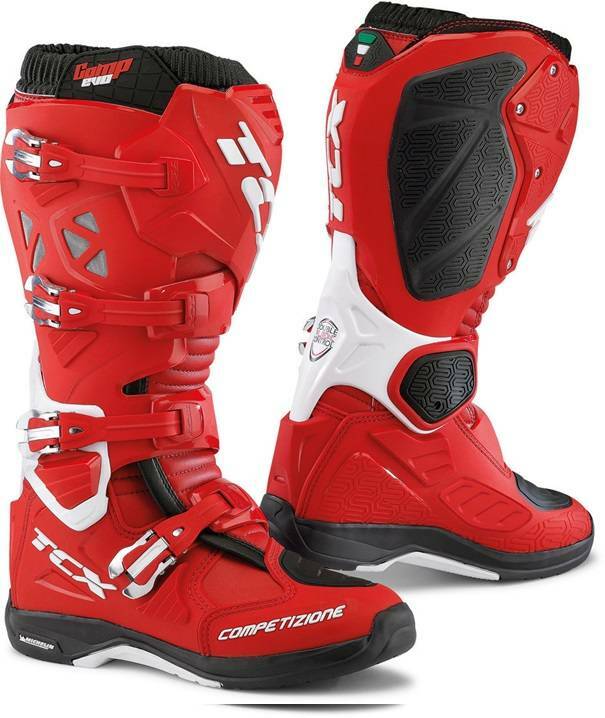 The TCX COMP EVO 2 is a Cross motorcycle boot. 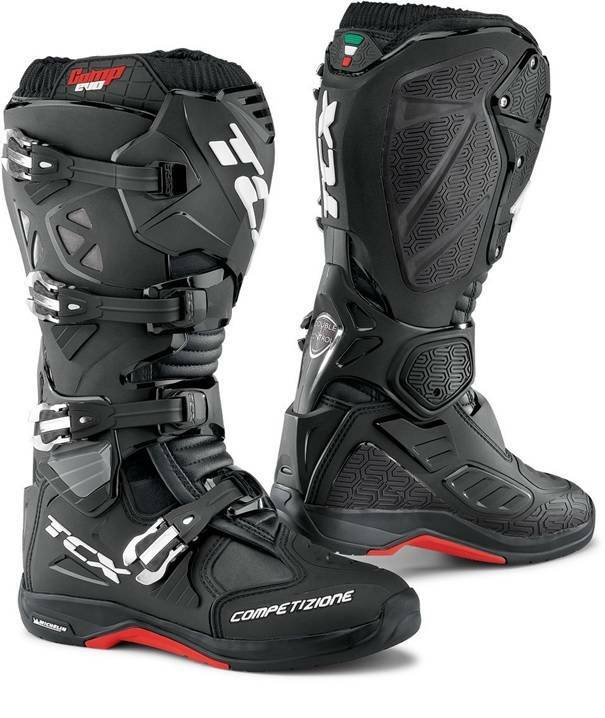 Experienced off-road riders do not settle for less than the best when it comes to their motorcycle boots. 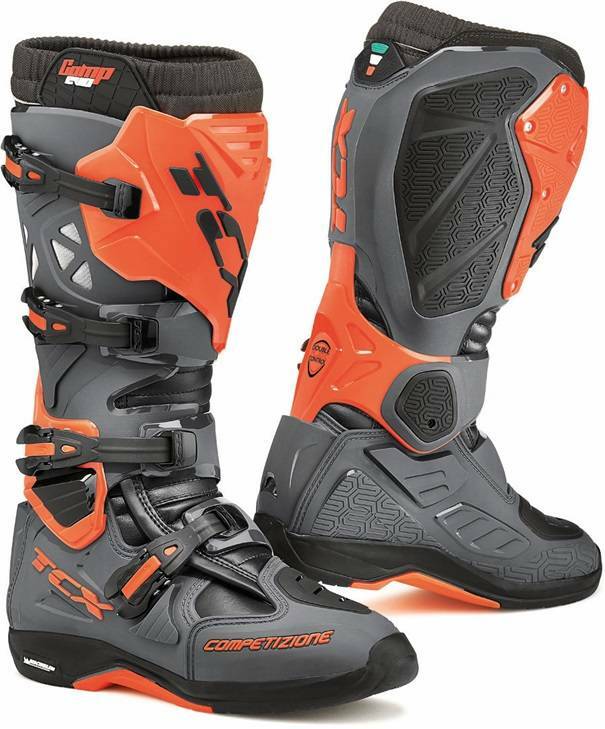 They are well aware of this at TCX and therefore they have provided the Comp Evo 2 with the best features of top range cross boots. These cross boots are equipped with the new D.F.C.S. (Double Flex Control System). The locking buckles work in harmony with the DFCS, following the flexion of the ankle joint and providing perfect ankle support. 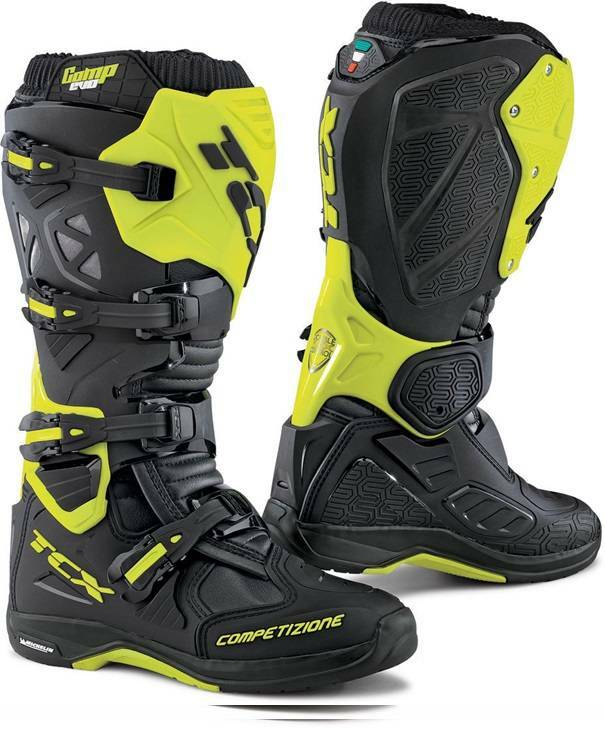 As the name implies, TCX has worked together with Michelin in the development of the advanced outer sole. 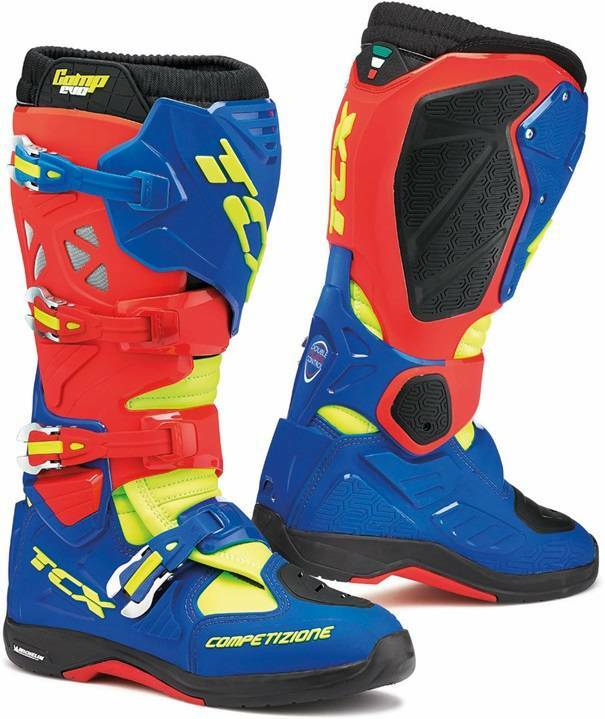 When it comes to quality, TCX at the least, equals popular brands such as Sidi and Alpinestars. 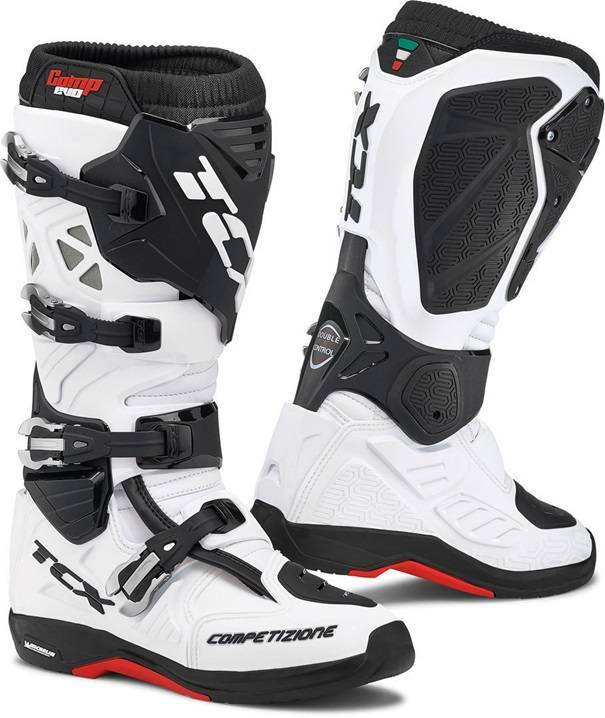 One of the competitors of the TCX Comp Evo 2 Michelin is the SIDI Crossfire 3 SRS. 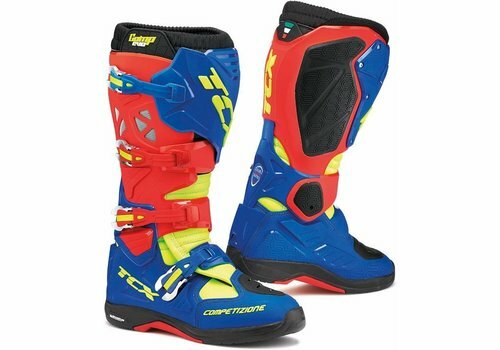 This is also a top of the line cross boot from a quality brand. Almost all parts of this boot can be replaced. These boots have a recommended retail price starting at € 509. 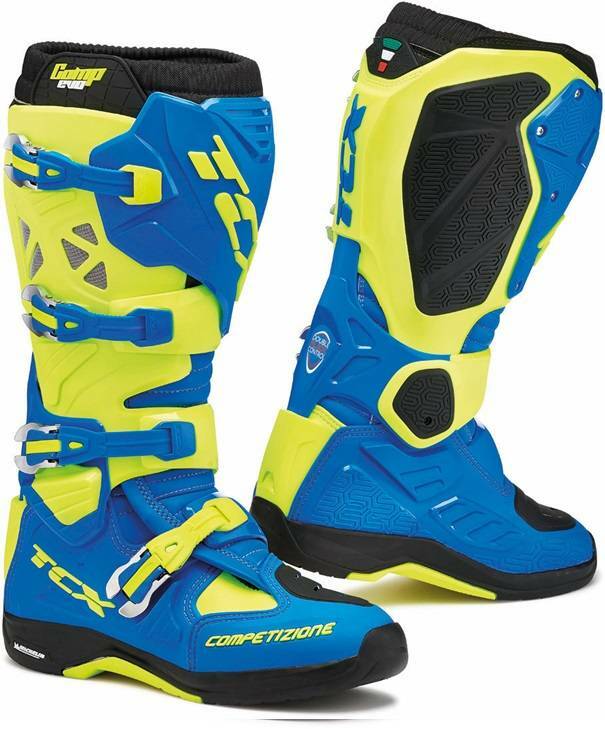 Another competitor of the Comp Evo 2 Michelin boots is the Alpinestars Tech 10 which has an exchangeable and washable inner shoe. This is also a cross boot from the top segment of a quality brand. The recommended retail price of the Tech 10 starts at € 599. 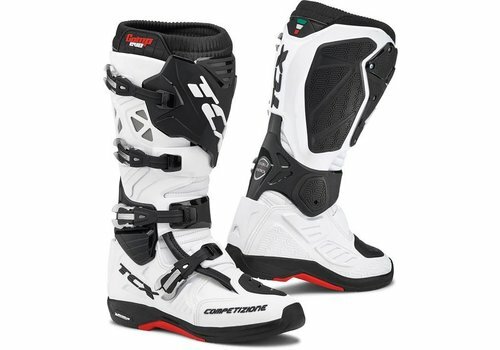 These boots are available at Champion Helmets for an excellent price. For an extra discount you can subscribe to our newsletter or You tube channel and immediately receive a free 1000 points Champion Cash worth € 10, -. Found it cheaper somewhere else? Let us know and we will price match and even try to beat the price. 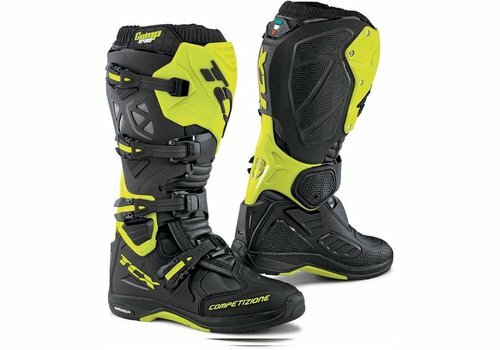 The Comp Evo 2 Michelin has a particularly high level of comfort. The lining around the ankle is filled with Double density foam which feels wonderfully soft and firm. The inside of the boot has a soft microfibre upper boot with a double Velcro fastening. This gives a Perfect fit. 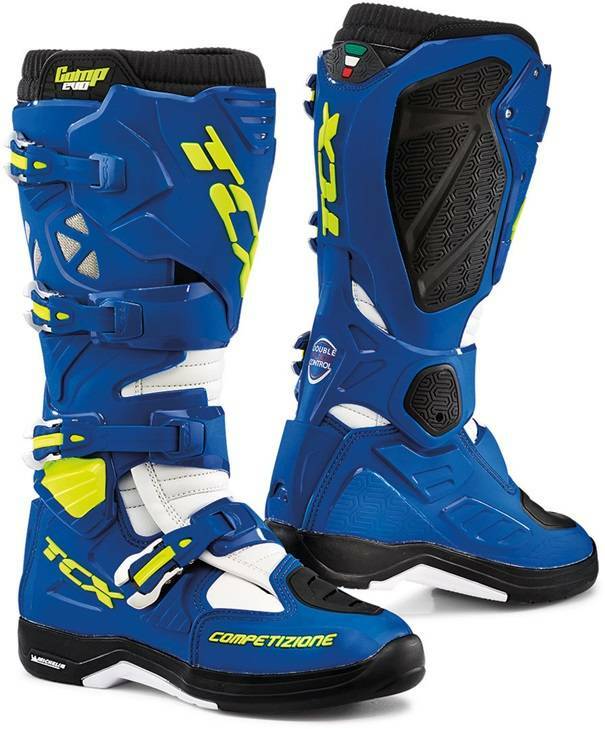 The circumference of the boot around the calf can be adjusted by shifting the PU shin plate by means of screws. The elastic top shuts off the boot very well, so that no sand or stones get into the boot. The new quick release aluminium closures are easy to adjust. Tightening the aluminium buckles is very easy. The inner sole offers a particularly good grip, which keeps the feet well in place in the boot. When you buy the boots they feel a bit stiff at the beginning, but they will feel more flexible after you have worn them during a few rides. The sole will also become more flexible after some time. 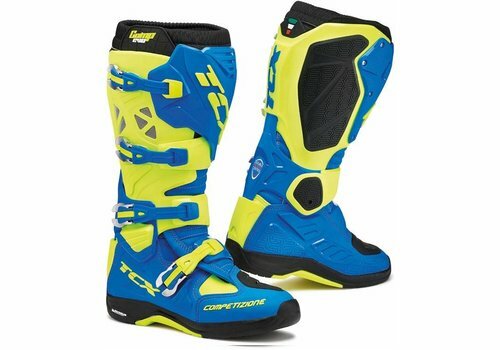 The boots are available in 8 different colours. A wide choice possibility.